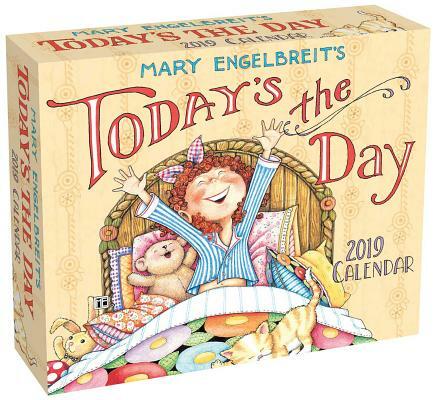 Make every day personally meaningful to you with Mary Engelbreit's Today's the Day 2019 Day-to-Day Calendar. The full-color pages feature beautiful illustrations, heartwarming quotes, and simple, but important messages urging us to take action and make each day significant. So don’t be afraid to be unstoppable, laugh til your stomach hurts, offer help, be there for a friend, have an open mind, or do the unexpected—do it all, today’s the day! The calendar also features a plastic easel backer for easy tabletop display.